Famous for: Tourism, Modern art promotion, Indian History. Entrance Fee: For student entry is free and for adults of Indian national its nominal fee of 20 INR whereas for foreign nationals 500 INR. Visiting Time: It remains closed on Monday and Holidays. Other than that, it’s open on all days from 10:00 a.m. to 5:00 p.m.
Visit Duration: Approximately 2 hours needed for the gallery and 3 hours or more if you want to attend the walkthroughs and have a detailed visit. Modern art has always depicted the society or the social issues vividly through art as it’s a silent expression of a lot of things. 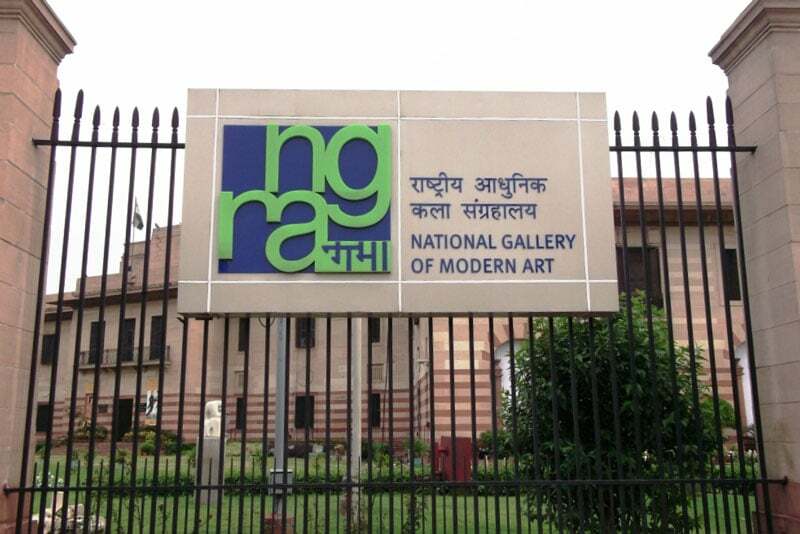 National Gallery of Modern Art is one perfect place for art lovers, precisely for people or students who understand art forms and are keen to know Indian history as well as modern society under the same roof. Try to visit during the walkthrough timings as mentioned in the article. Do not take photographs inside the gallery as it is strictly prohibited, unlike other museums or galleries which sometimes allow low flash photography. Professional photographers and publishers need to pay 1000 INR separately for any photography. The gallery authority being really strict, it is advisable not to carry any plastic or food items inside. In fact, one has to keep their valuables in the locker available there. People genuinely interested to know in detail, regarding the paintings or the art forms can attend the walkthroughs. The timings of the walkthrough are 10:00 a.m., 1:30 p.m. and 3:30 p.m. No extra cost is charged for the guided walks. There is a souvenir shop where one can buy variety of gifts, souvenirs and picture post cards at a nominal cost. There are guides available to help the tourists. They are mainly available at service during the walkthrough events. People who are local or are staying near Delhi can actually visit it anytime round the year. It is advisable to avoid the prime summer months (May-June) and winter months (December- January), since this place ends up having extreme weather conditions, during either season. 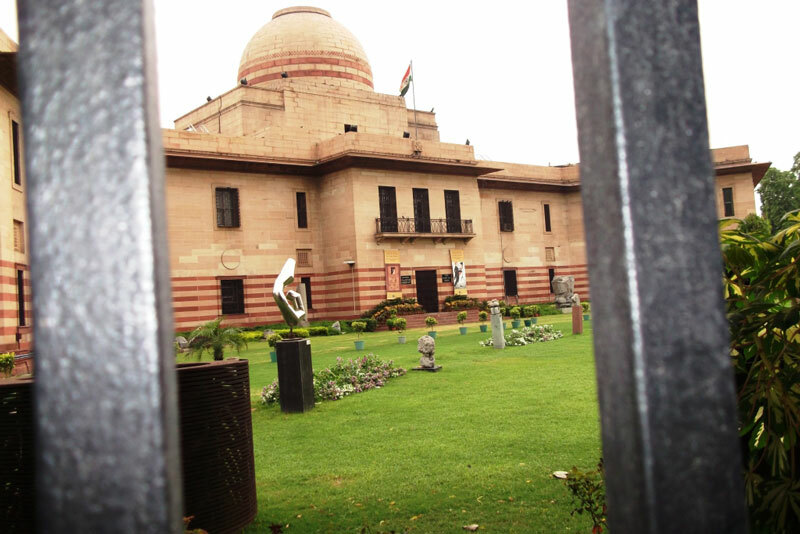 The nearest airport to the National Gallery of Modern Art, Delhi is Indira Gandhi International Airport which is at a distance of about 20 kilometres. It would take about 30 minutes to reach the gallery from there by cab. You can also board a bus to reach there. Delhi being a well-connected city, one shouldn’t face any problem in transportation facility and you can always take a metro and the nearest metro station would be Central Secretariat. If you are planning to travel by train, then it would be closer than the airport, it is 4.5 kilometers from the gallery and would take you around 11 minutes to reach there by a cab. With 12,000 sq. ft. of area covered, it is one of the largest modern art museums in the world. It holds almost 14,000 art work by famous people like Rabindranath Tagore, Jamini Roy, Thomas Daniell etc. A few of the works which are showcased in this gallery dates back to 1857. It is actually housed in the Jaipur House which is originally happened to be the place of residence of Maharaja of Jaipur. Delhi has so much for the tourists to offer, but regardless of when you visit, keep this gallery on your priority list right after the famous QutbMinar or Lotus temples and finish off your trip with this wonderful site.